Who doesn’t want a toned stomach? The big question is how do you achieve getting one? You need to make sure you have a good exercise routine and that you eat the right foods. All the exercise in the world won’t work if you make bad food choices. So, if you finally want to get a flat, toned stomach, here are some key tips on how to tone up and de-bloat. Aside from ab crunches not being everyone’s idea of heaven, doing 100s of them everyday will not result in a flat stomach. Toned abs come from doing a range of different exercises that target the core in different ways to help the body shed fat. Strength sessions (that target the core and whole body) along with HIIT (to burn fat) are a far better way to reach these goals. 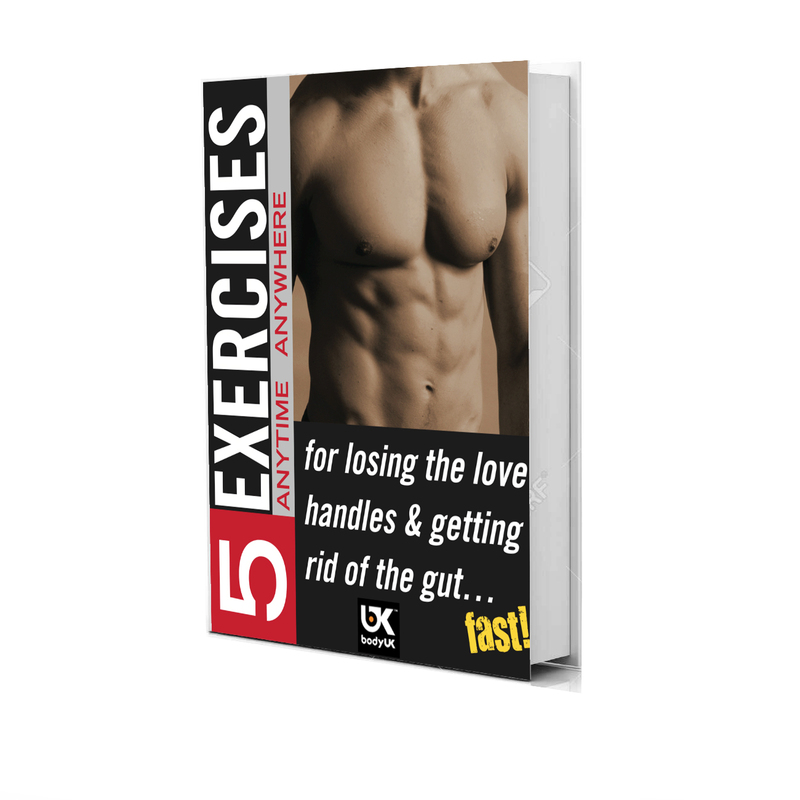 Combine these with exercises aimed at targeting your stomach area and you are good to go! Lifting weights helps the body build muscle; the more muscle you have, the faster your metabolism will be and the more fat you will burn. In addition, a flat tummy comes down to reducing your body fat percentage. HIIT (High Intensity Interval Training) has been shown to be one of the most effective methods for shedding fat. (We have a great online fitness challenge for HIIT training) By getting your heart rate up, you speed up your metabolism and help the body burn fat more effectively. All that hard work exercising will be wasted if you don’t eat the right foods. You also need to melt away your belly fat and if you are under eating, this can damage your metabolism which helps you do this. Add more fibre to your diet. Cereal for breakfast helps get your digestive system moving and whatever you do don’t skip breakfast! Add fluids – 8 glasses of water a day is the recommended amount. Tap water is the best option, but you can also count herbal teas made with peppermint, liquorice or chamomile as they aid your digestion as well. Try to have a glass of water with your each of your meals. Add probiotic yoghurt – the bacteria in probiotics help balance the bacteria in your gut and reduce bloating. Replace refined carbs (white bread, pasta, crackers, sugar and white rice) with healthy complex carbs from foods like vegetables, sweet potatoes, brown rice or quinoa. Refined carbs spike your insulin levels, which then prevents fat burning in the body. However, although fresh vegetables are good for you in their raw state, they are also high volume. Therefore, to stop any bloating try and spread your daily intake across all meals rather than your evening meal alone. Reduce salt intake – salt makes you retain water so stop salting food at the table and if you do have any packaged food check the label for salt content. You may be surprised at just how much salt some foods contain, especially ready meals. Reduce sweets, carbonated drinks and alcohol – sipping through straws, sucking on sweets and chewing gum all make you swallow air. Are you cruising the OK Plateau?